It’s common to find that in spite of your most diligent fitness efforts, you still have a few stubborn pockets of fat that just won’t go away. This occurs because we are genetically predisposed to store fat in certain areas of the body, and this often may not be where you want this fat to accumulate. Liposuction can be an effective way to eliminate these stubborn pockets of fat in order to achieve the toned, sculpted figure you desire. One of the most common questions Dr. Lee receives during a liposuction consultation is, “Will the fat cells come back after my procedure?” The good news is that fat cells removed during liposuction will never return. However, it is still possible to gain weight after your procedure if you don’t live a healthy lifestyle. Once you reach adulthood, you will have a fixed number of fat cells in your body. When you gain weight, you are not creating new fat cells. Instead, your existing fat cells are simply growing in size. Similarly, you do not lose fat cells when you lose weight. The fat cells in your body are just getting smaller. In addition, weight loss tends to impact all of your fat cells equally. You will generally find that all of your fat cells shrink when you lose weight, not just the cells in the area you are trying to tone. This is often why it is difficult to achieve your desired results in problem areas. The only way to receive additional sculpting in areas that consistently have stubborn pockets of fat is to remove them via liposuction. Once these fat cells are removed, they will never regenerate due to the fact that you have a fixed number of fat cells in your body. In this sense, the results you achieve from liposuction are permanent. However, if you gain weight after liposuction, it may impact the appearance of your overall figure in unintended ways. 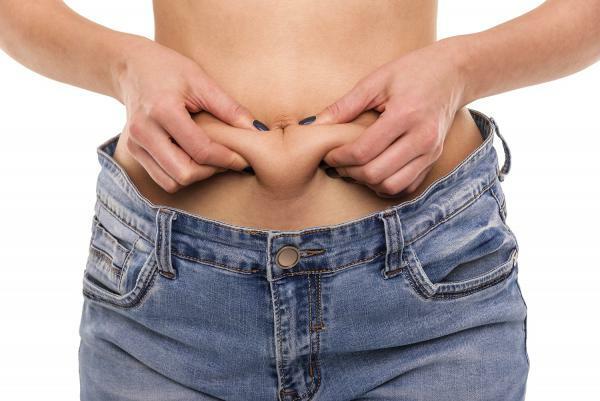 You may find that this fat now accumulates in other areas, creating a less proportional body contour. It’s important to remember that liposuction isn’t a tool for weight loss. It is a body contouring procedure that will provide sculpting and definition to a particular area of your body. In order to ensure your beautiful new figure lasts for many years, you must commit to a healthy lifestyle that includes a balanced diet and regular exercise. In addition, you should be generally fit and within 5-10 pounds of your ideal weight before undergoing liposuction. This will set you up for a successful outcome. If you have concerns about your ability to maintain a stable, healthy weight, we encourage you to discuss these concerns with Dr. Lee during your consultation. He can recommend nutritionists and personal trainers who can help you establish healthy eating habits and the proper exercise routine to ensure you stay fit. This is the best way to achieve, beautiful, long-lasting results from your liposuction procedure. Please contact Dr. Richard Lee using the form on this page or call 949-548-9312 today to schedule a free liposuction consultation. We serve patients in Newport Beach, Irvine, Santa Ana and throughout Orange County, California.